Whether you are an architect, building surveyor or another industry that require aerial imaging, Balmore Aerial Media is a leading expert in aerial drones with imaging and video technology. We make use of aerial UAV drones equipped with the DJI Zenmuse XT Thermal Imaging camera. This is the very latest in thermal imaging technology. By attaching it to our Inspire 1 PRO drone, combining expertise in gimbal technology and 4K resolution within the industry leading thermal imaging technology of FLIR, Balmore Aerial Services are the prime contractor in Scotland for fast and reliable aerial imaging. With exact precision over long and wide areas, the dedicated team at Balmore Media can then study the data and report our findings back to you. As technology has advanced, there have become so many different uses and functions of our drone imaging service. Almost any commercial or industrial client can now benefit in some way from our incredibly popular service. 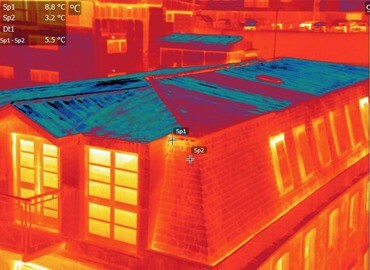 From inspecting powerline and solar panels to aiding in search and rescue and firefighting, thermal imaging has become an invaluable tool with lots of growth in the area still to be had. 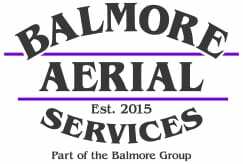 With Balmore Aerial Media, you get an effective, professional and efficient thermal imaging service carried out by a trained team of aerial drone pilot professionals at a cost-effective price. This ensures that every single one of our clients gets a reliable service that delivers true value-for-money. While our customers range from Emergency Services to Property Developers, with aerial drones and the technology that they carry constantly evolving, we regularly invest in new equipment and training to ensure that we are always one step ahead of the rest.